Lenders provide loans to borrowers based on different financial factors. A high-risk loan is one that is given to borrowers that have a low credit score. This usually means a bad credit score or unstable income. Lenders that loan money to these borrowers charge higher-interest rates because statistics show that a larger percentage of the borrowers will default (not pay off) on the loan. If a default occurs, the lender loses all or part of the loan amount. So the lenders have to make more on each loan to offset the loans that will not get paid back. Lenders are in business to earn money, just like very other business. And they realize that there is a need for high-risk loans – and that some borrowers with bad credit will pay extra to borrow money. Why? Because borrowing money at a higher-interest rate is better than the alternative. It’s better and less expensive than multiple overdraft fees, the cost of having utilities cut off and reconnected, or even the money lost due to missing a few days of work with a broken down car. People who have never had a need for these types of loans often criticize the high-risk lenders. However, many of them have never faced a financial emergency with no money in the bank, no credit cards, or no means to get the cash except through a high-risk loan. If these loans are removed from the marketplace, it won’t hurt them, but those who need the loans and have compromised credit. Here’s the bottom line. 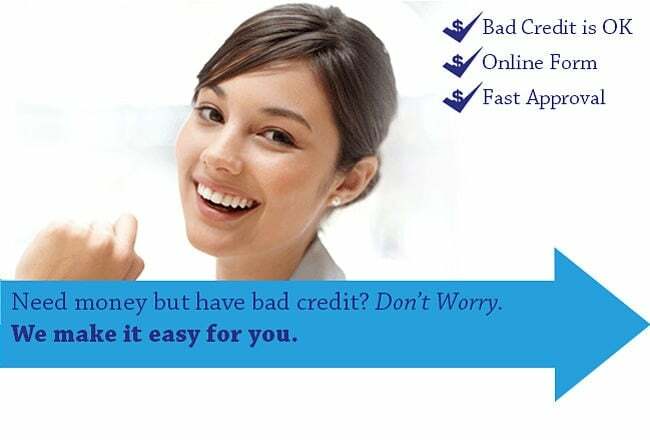 If you can apply for and receive a loan with a low interest rate that is the best option for you. However, if your credit is already damaged and you need a loan, you should seek to find the best available high-risk loan. We want to help you access the emergency cash you need at the lowest rate and best available terms. Here’s how we do it. We’ve assembled a large network of lenders that are willing to loan money to high-risk borrowers (borrowers with poor credit). Plus, we make them compete for your business. You fill out a quick and secure online application that is sent to all of the lenders. They review it and if you qualify send you back a loan approval. This can happen quickly, sometimes less than a few minutes after you submit your information. Qualifying for a high-risk loan is easier than qualifying for a low-risk loan, but you still need a job and a consistent paycheck. You need to earn at least $1,000 a month. However, the higher your income, the higher loan amount you can qualify for. Lenders also require an active bank account and that you are 18 or older. Pay careful attention to the loan details, including interest rate, upfront fees, and repayment terms. Make sure you have the ability to pay the loan back according to the repayment schedule. Some lenders may expect it paid back in a few weeks, while others may give you several months. Be realistic about how much you can pay back each pay period when choosing the payback period. Choose the loan amount that you need even if it is lower than what the lender offers you. This will make it easier to pay it back. Review what happens if you pay late. Be aware of added fees or increases in the interest rate. Ask the lender questions if you don’t understand any of the details of the loan offer. After you select the loan you want, you may have to provide a few extra documents, including your paystub or bank account information. The quicker you do so, the faster you’ll receive your cash. Most lenders deposit it to your account As soon as the next business day*. Now that you have the cash to meet your financial need, focus on how you can pay the loan back on time. You may need to work overtime, get a part-time job, or even sell some things around your house. If you pay the loan as agreed, you’ll save money and raise your credit score. Most lenders report your loan to the credit bureaus and paying a loan as agreed lifts your credit score. This puts you in a position to get a lower interest loan in the future.